Gurgaon Launch Schedule of Book - Can Love Happen Twice? 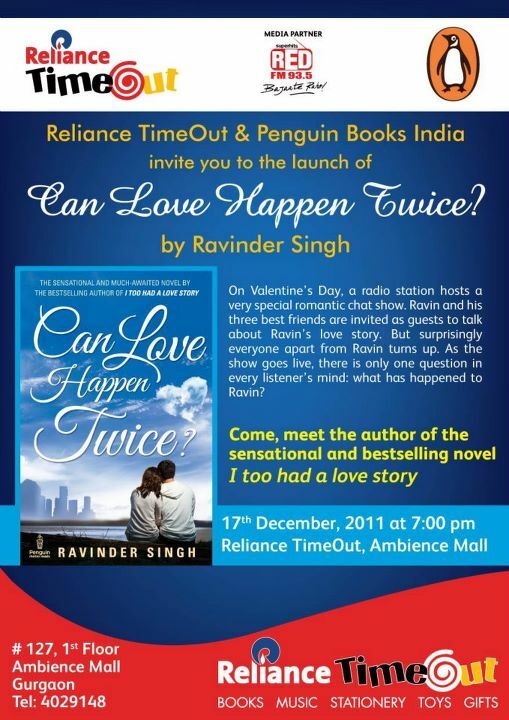 Reliance TimeOut and Penguin Books India invite you to the launch of Book - Can Love Happen Twice? by Ravinder Singh. Come and meet the author of the sensational and bestselling novel "I Too Had a Love Story". 17 December,2011 at 7 P.M.
Reliance TimeOut, Ambience Mall, Gurgaon, Haryana (India).